Our handmade pasta will give gourmet flair to all your meals. From the simple dinner for two at home to elegant dinner parties, our flavored pastas will take you back to old Italy. No cholesterol, no preservatives, and no added salt make this pasta a great choice for the health-conscious without sacrificing the taste. 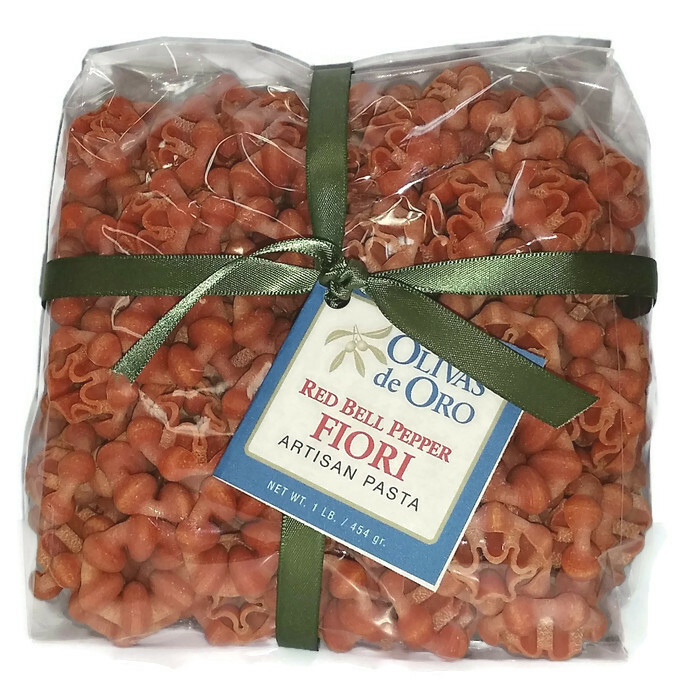 Olivas de Oro Artisan Pasta is made from the finest Durum Semolina flour, created with traditional bronze dies. We allow our pasta to dry slowly, keeping its original natural color. The oversize shapes and the rough “Artisan” texture makes a perfect way to hold your favorite pasta sauce. Try our Red Bell Pepper Fiori Artisan Pasta with our Rosemary Olive Oil or Bagna Cauda.